Waste plastics can be recycled in many ways. Usually waste plastics recycled to produce new plastic products or resins. It can be recycled to clean distilled fuels. But waste plastic to fuel conversion technology is not familiar to everyone. 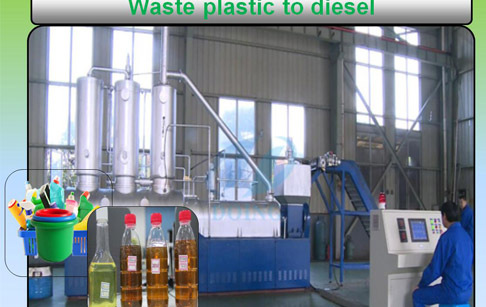 Recently Doing group has developed new technology plastic waste to diesel fuel plant that can convert waste plastic to diesel and gas . The plastic waste into diesel fuel plant can continuously process plastic into diesel,gasoline and fuel oil and carbon blacks without stop. 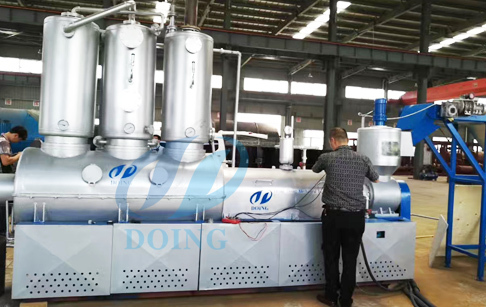 All the plastic continuous pyrolysis process is controlled by PLC(programmable logic controller), so it is very easy to operate and our customers can save much cost of time and labor. How to turn plastic waste into diesel fuel cheaply? Prev:How does waste oil distillation plant work? Next:How to change engine oil ? 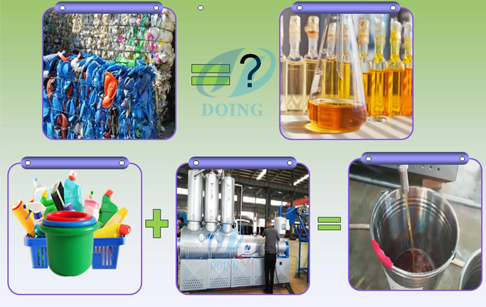 If you wanna to get more details about How to turn plastic waste into diesel fuel cheaply you can send E-mail to market@doinggroup.com. You can consult our professional engineer and specialized sales team with leave a message in below form.We will contact with you ASAP.You also can visit our factory in Henan,China.Get Detailed address.